When completing visits - there are certain pieces of information that are essential. Your client’s address, access instructions for their residence and information for an emergency contact to name a few. You can mark these fields as required which means your customer needs to complete them before they are able to request services. If you are allowing new clients to create their own accounts - you need to ensure they complete their profile before requesting services. 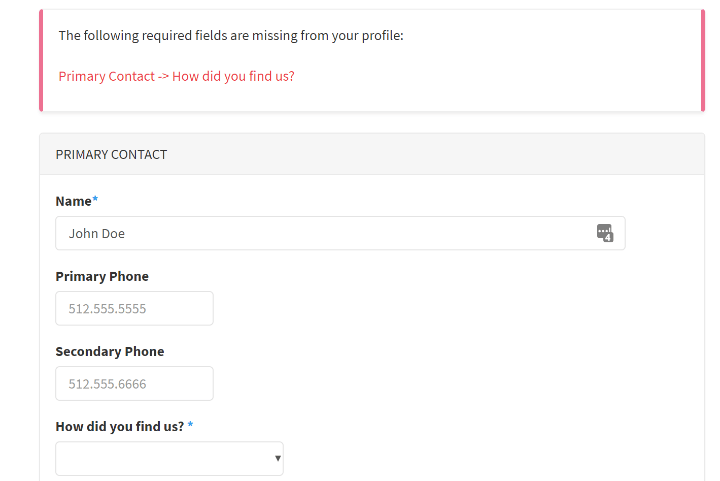 Required fields allow you to select the most important that need to be completed before they submit their first request. 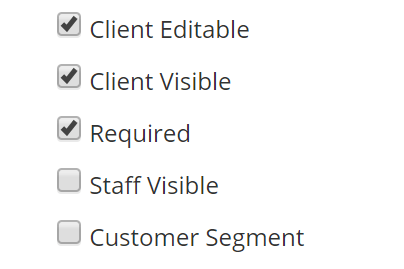 When enabled, clients are unable to submit a service order request until they complete their required fields. Time To Pet shows clients exactly what information they need to complete and will give them an error message if they try to request services before completing it.